This product is designed to work with any of the Cozy Horse backpack style vests that are specifically made to attach to harnesses. VEST/ SADDLEBAGS NOT INCLUDED. This listing is for the conversion straps only!! I designed this product so people who already have one of the backpack vests could use the vest without a harness. At the bottom of the chest strap is a loop for the saddlebag's elastic belly strap to run through. 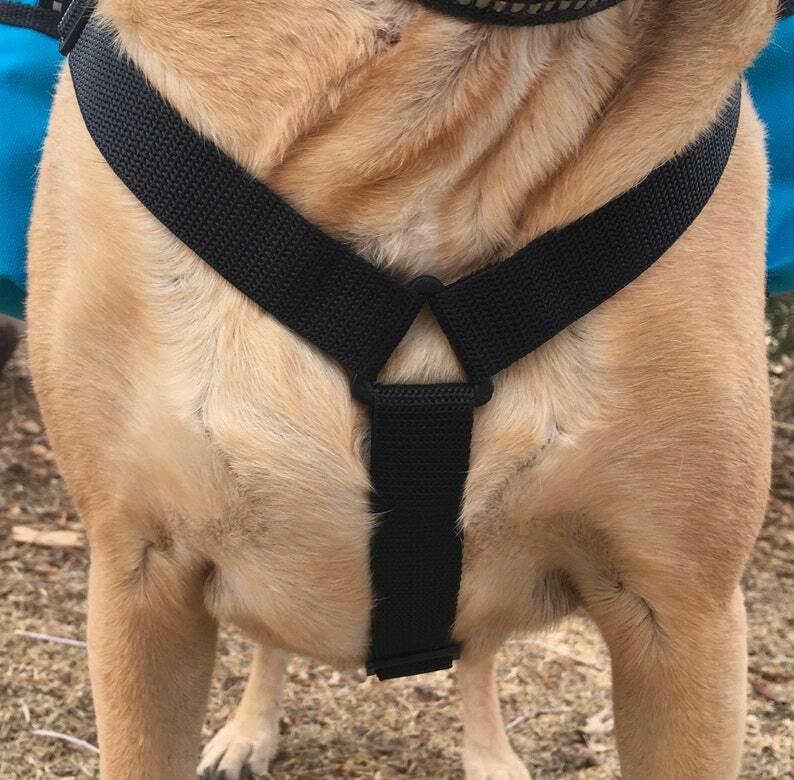 All straps are adjustable and designed to work for medium to large dogs. **Backpack vest itself is only shown to show how this product works! Again, a vest is NOT INCLUDED. Item arrived on time and works really well for my needs. Awesome! Exactly what I needed! Works perfectly!